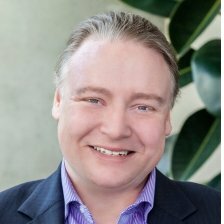 Brian Behlendorf is the Executive Director of Hyperledger Project. Behlendorf was a primary developer of the Apache Web server, the most popular web server software on the Internet, and a founding member of the Apache Software Foundation. He has also served on the board of the Mozilla Foundation since 2003 and the Electronic Frontier Foundation since 2013. He was the founding CTO of CollabNet and CTO of the World Economic Forum. Most recently, Behlendorf was a managing director at Mithril Capital Management LLC, a global technology investment firm.